Experience the luxury and elegance of Christmas during the Gilded Age in Newport. Tour three magnificent mansions all beautifully decorated for the holidays with period ornaments from Colonial and Victorian days, fresh flowers and stunning decor. The Breakers, The Elms and Blithewold Mansion, Gardens and Arboretum, icons of the Gilded Age in America, will be filled with thousands of poinsettias, evergreens and wreaths. Each room’s décor will be reflected expertly decorated trees. 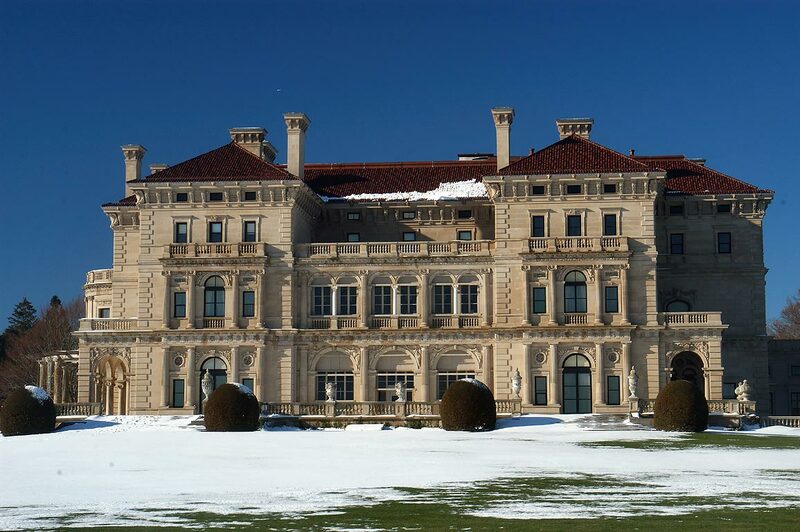 Tour The Breakers mansion considered the grandest of the Newport summer “cottages.” Cornelius Vanderbilt II commissioned dozens of craftsmen to create a 70 room Italian Renaissance-style villa inspired by the 16th century palaces of Turin and Genoa. Enjoy late afternoon tea at the Viking Hotel. Next day enjoy a visit to the summer residence known as The Elms, modeled after a mid-18thcentury French Chateau complete with elaborate gardens. Follow Newport’s scenic routes with a narrated tour of picturesque Ocean Drive considered one of the region’s most memorable experiences. Your group will experience stunning views, historic landmarks and incredible architecture. Journey onto Bristol for a tour of Blithewold Mansion, an amazingly preserved 45 room English style manor mansion on 33 acres with sweeping views of Narragansett Bay. Blithewold is decorated in a holiday theme like no other. Newport’s unique shops will tempt holiday shoppers with exclusive gifts and local treasures.